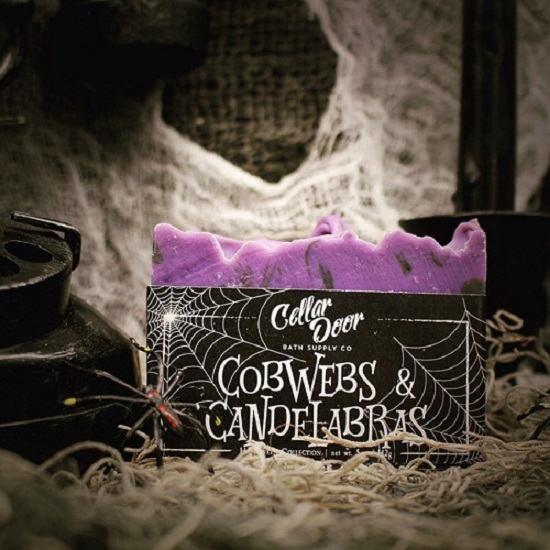 Image from Cellar Door Bath Supply Co.
Cobwebs and Candelabras smells like "smudging sage. birch bark. dusty bookcases. the forgotten grandeur of a ballroom whose floors have long been used solely by the spirits that reside within." This soap has a light, delicate scent that completely matches its description. It reminds me of seances, flickering candles, and spiraling staircases draped in shadows and cobwebs. I'm currently using it to scent my lingerie drawer. Haunted Woods is reminiscent of "fallen leaves. moss. freshly dug earth. lichen. the aroma left behind by the apparition known as 'The Lady in the Woods.'" Again, the description is dead on - reminds me of the late autumn woods, with bare branches ensnared in fog with the smell of damp earth carpeted in dead leaves. When I wash with this I feel like I am transformed into an incorporeal spirit that can't be touched or seen but only felt. 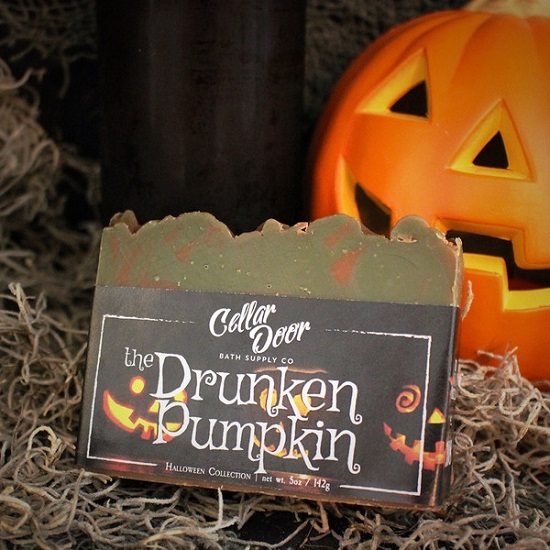 The Drunken Pumpkin smells like "fresh carved pumpkin. caramelly pumpkin ale. autumn spices. a whole pumpkin patch just waiting to be turned into barrels and barrels of delicious, refreshing pumpkin ales." This scent reminds me drinking pumpkin beer while carving pumpkins! Perfect boozy, pumpkin-y deliciousness! 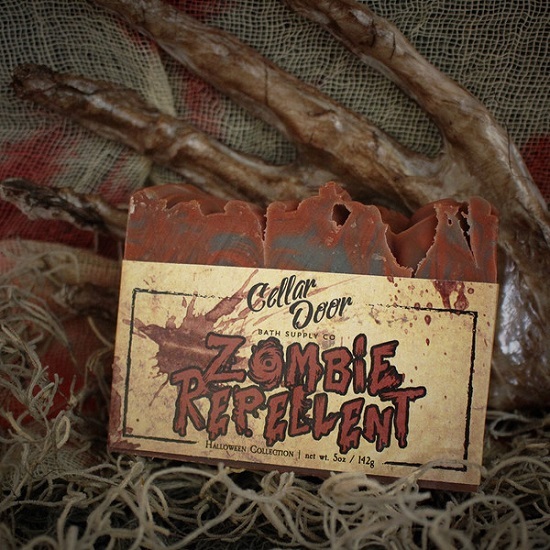 Zombie Repellent is full of the scents of "ancient spices. sacred woods. pungent musk. running through the forest while the undead are nipping at your heels." Smelling this reminds me of hiding from zombies in musty basements, with faint whiffs of cinnamon and evergreen forests. It also makes me think of Egyptian mummies wrapped in spice-infused shrouds and ancient curses. 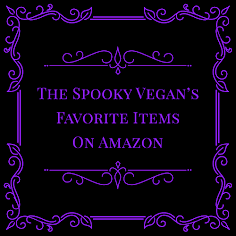 Not only are all these scents entirely unique and mesmerizing, but they are also handmade, cruelty-free, vegan, and free of sulfates, phthalates, parabens, and synthetic dyes. They lather up nicely and make my skin feel incredibly soft! I love lathering up with these in the shower as they scent the whole bathroom and leave me feeling squeaky clean, smelling mysterious and make my skin luxuriously smooth. 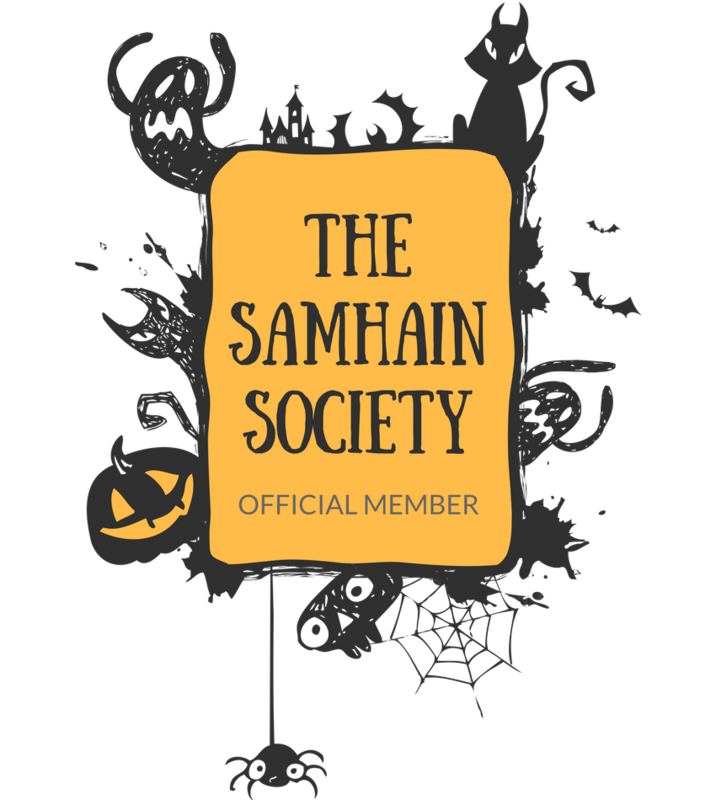 The soaps are very reasonably priced, and Cellar Door currently offers a flat shipping rate of $5 for any order! When I ordered mine, shipping was exceptionally fast (I think they shipped the same day I ordered, and arrived within 2 days!). And in case you were wondering, no, I'm not getting paid or getting freebies for this review - I genuinely think this is fantastic company that is creating some absolutely dreamy soaps. All of my Cellar Door soaps smell so divine that I am already eyeballing the next batch I want to order! And I can't wait to try out their candles and such, too! 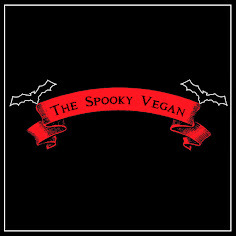 I am hoping that maybe in the future they come out with a line of Halloween candles, because that would be soooooo awesome! 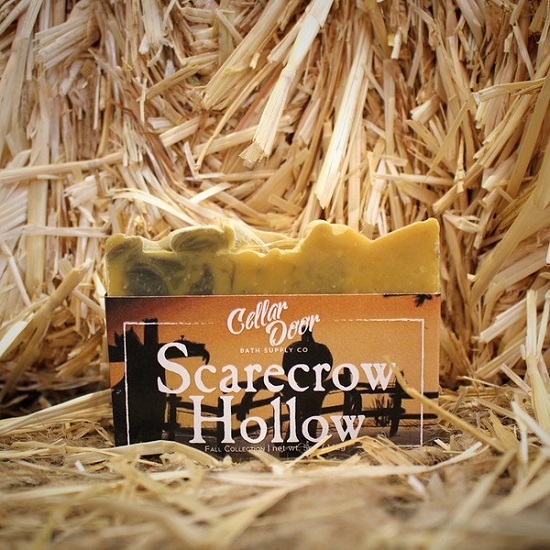 Besides the Halloween soaps, Cellar Door also has other scent collections of soaps, candles, and bath salts that all sound incredible! I am especially intrigued by their Black Collection of masculine scents, including their Tobacco Oakmoss candle. 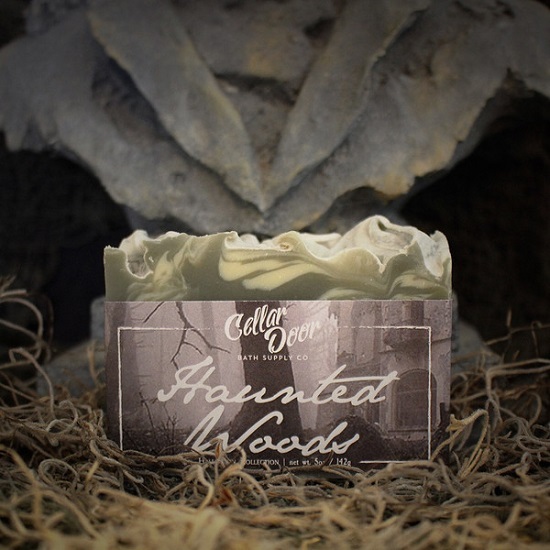 If you are looking for some spooky suds to celebrate the haunting Halloween season, check out Cellar Door Bath Supply Co. With 13 lucky scents in their Halloween collection, a perfect scent is lurking for everyone! Check out all the goodies that Cellar Door offers on their website! This is so cool. Yesterday I saw the very first poor Halloween stuff here in Vienna and I could have cried thinking about all the amazing things I saw and see on your blog. Awwww I hope you can live vicariously through me. The cobwebs & candelabras and haunted woods sound divine! Definitely going to check them out. Yes, I think they would be right up your alley! Thank you for the review, I just ordered 5 to try! Super curious about the pumpkin ones and once bitten. Those sound so good! I need to order more, haha! Once Bitten rocks! 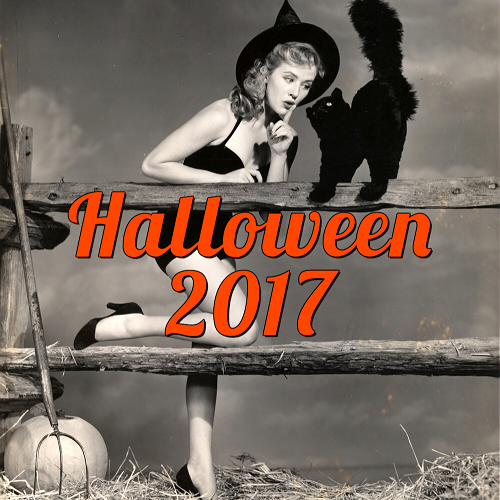 Got freebees too, just ordered 3 more so it can be Halloween all year!